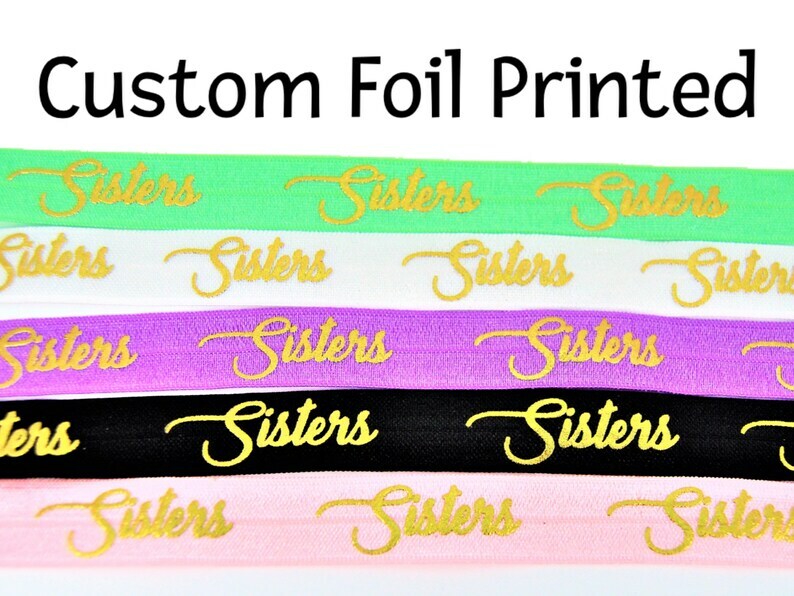 Add ANY TEXT or LOGO to MissPonytail Hair Ties! • Font Type: Please message me. • For LOGO or design, please send it via direct message here on Etsy. You will receive back a proof to approve before printing begins. We‘d love to help customize your design, if needed. Please message Katie with any questions. **All heat transfer designs will be printed onto white elastic. 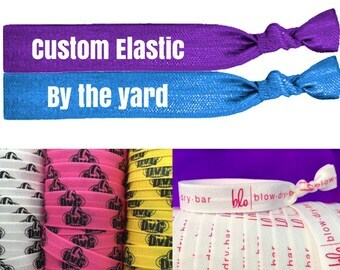 The front of the elastic will have your design, and the back will remain white. You have two choices for printing onto the backside.